Trae Waynes is an established cornerback in the NFL today, having been drafted by the Minnesota Vikings in the 2015 edition of the NFL Draft. In high school, Waynes displayed something of a drive and passion for football in his playing career. He had his high school education in one institution of learning while playing for another. This was because the school he was enrolled in did not have sports, but he did not let that stop his chance at a footballing career. Since joining the Vikings, Trae has featured regularly for the team, recording for himself, a career-high 65 tackles for the 2017 regular season. Born in Kenosha, Wisconsin, on July 25, 1892, Trae Waynes had his high school education at a school in his birthplace. However, since his school, Harborside Academy, had a no sports policy, young Trae decided to turn out for Mary D. Bradford High School in the same town. Waynes was a multi-sport personality, playing football, basketball and running track. He accrued an unforgettable sports record, especially in 2010 which was his junior year of high school. Trae was a first-team All-Southeast Conference player in football, first-team All-county honors recipient in baseball, and the winner of the county indoor track championship for 60-yard and 220-yard dashes. Accepting a scholarship from Michigan State University in 2011, Trae Waynes went on to play for the college’s football team. The severe injury he had suffered in his final year of high school football saw him redshirted for his freshman year. In that year, he made nine appearances exclusively as a backup and in special teams. Playing at cornerback in his sophomore season, he proved himself with an exceptional campaign. Trae won the Rose Bowl and the Big Ten Football Championship in that season as well as playing all 14 games of the regular season, recording a personal best of 50 tackles, 5 pass deflections, and 3 interceptions. His junior season saw him play in 13 games and secure 46 tackles. In his final year at MSU, he was an All-Big Ten selection and a second-team All-American by many publications and associations. At the 2015 NFL Draft, Trae Waynes was the 11th overall pick, usurping former Minnesota Vikings’ player Dewayne Washington as the highest selected cornerback ever in the history of the team. After signing a four-year deal with the franchise, he went on to have a relatively average rookie season by his personal standards and those of the team. He played 14 games in the regular season, starting in only one of them. However, Trae still managed to garner 30 tackles and defend 4 passes. His second season on the roster wasn’t any better. He started in the Vikings’ season opener in place of Xavier Rhodes who was the team’s first choice cornerback. However, after a couple of poor showings, he saw his chances limited by new recruit Mackenzie Alexander. He finally repaid his contract in the 2017 season with an outstanding season. Waynes was a starter for all 16 games of the Vikings’ regular season, posting an excellent 65 tackles which was the highest of his professional career. He also defended 11 passes and made two interceptions. The team then repaid Trae Waynes by triggering the clause for a fifth year that was in his contract on April 30, 2018. The dreadlocked defensive has always maintained a physically fit body size since his pre-draft days. Trae Waynes stands at a height of 1.85 m which is slightly over 6 feet in height. He also weighs in at 86 kg, which translates to 190 lbs. No other verifiable information is available concerning any other of his body measurements. 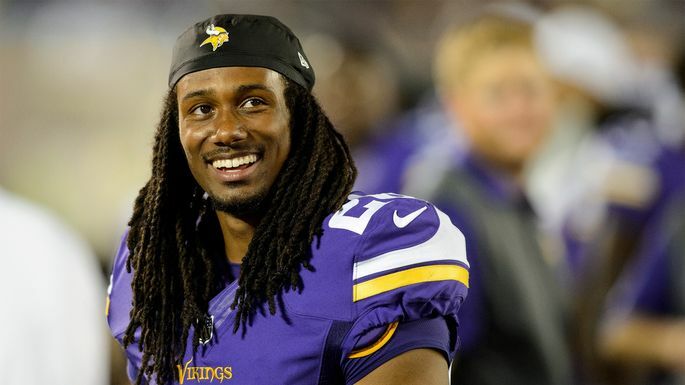 Who Is Trae Waynes’ Girlfriend? Like many of his NFL contemporaries, Waynes has made time to have a love life. The cornerback is dating a beautiful red-haired goddess, Kyra Luther, from Rochester Hills, Michigan. Kyra had her pre-college education at Notre Dame Preparatory High School. She then moved on to the University of Michigan where she met her beau and who was a college footballer. The duo has been together since January 2013 and got engaged later on. 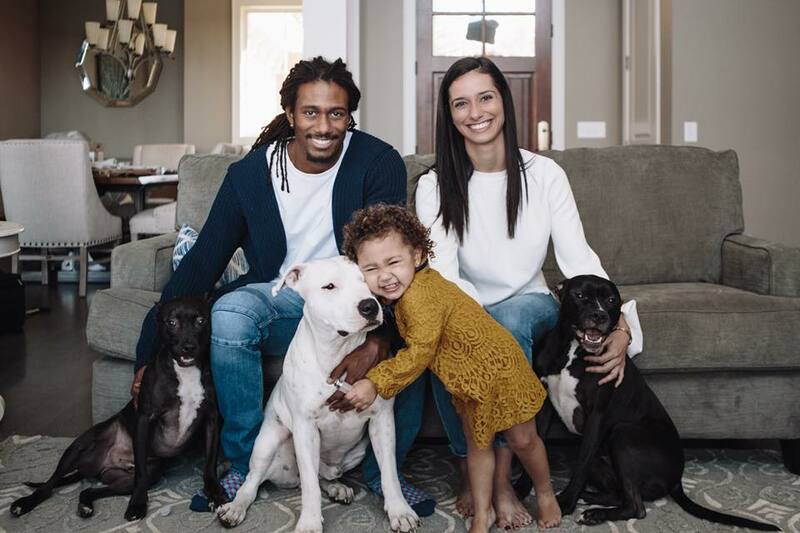 Trae Waynes and Kyra have already started a family though. The couple welcomed their first child, a daughter, Kayla Waynes on December 13, 2015.